Does the word copyediting make you want to run and hide? Is sorting out the nuances of the mechanics of language nausea inducing? Do terms like dependent clause and dangling modifier cause an eye roll? Ditto for the subtle yet important difference between an em dash and an en dash? 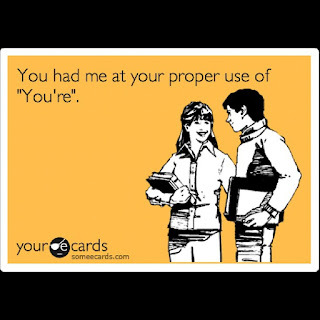 If you typically believe that grammar rules are out to get you, you’re not alone; you also don’t have to suffer. (Bugle blow, please.) All hail the copyeditor! In Part One of this blog series, you learned that producing a book is akin to producing a play—neither are ready for an audience without multiple rehearsals, or editing rounds. And in Part Two, I gave you the lowdown on the granddaddy of developmental editing and why it commands the time and financial investment that it does. Now you’re wondering: But what about punctuation and all that stuff? 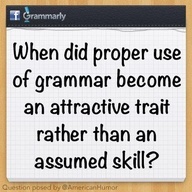 Oh, the grammar nerd in me is so happy you asked! If expertise in these elements eludes you as a writer, however, it doesn’t mean you don’t have talent. In fact, I know more than one award-winning author who has a self-proclaimed block when it comes to spelling and grammar; they are, however, excellent storytellers. They also say they would be nothing without the devoted work of their editors to make their stories shine. So why do many people have trouble with proper writing skills? It's difficult to pinpoint exactly why such a decline has occurred over the last couple of generations—I do believe we should each be equipped to express ourselves well (and properly) in speech and writing. But instead of disparaging folks who have an honest impediment in this arena (as opposed to those who are merely lazy), I've concluded that language truly is an art—a gift that not all people possess, just as not everyone has the gift of say, musical talent or athleticism. English is also replete with rules—and exceptions to them—that command a person's interest and dedication to commit to memory. Let's face it: Not everyone wants to board that ship (so let's be collectively happy that copyeditors do!). Confusion can likewise set in when what one style guide deems proper, another may find negotiable; what one editor won’t budge on (the serial comma, for me), another editor doesn’t employ. And oh, the chaos that can ensue with the proper usage of the comma; perhaps only the semicolon gets more abuse. Now, this isn’t to say that there aren’t plenty of certainties when it comes to English grammar and sound formatting: A double negative? Heavens, no! Two spaces after a period? Never. But style, on the other hand, is quite subjective and varies with the material. No two editors will ever approach the same manuscript and churn out the identical edits. So where opinion creeps in and two rules are acceptable, or where the decision in question is a matter of style, what’s important is not simply accuracy but consistency. If, for example, you prefer to use the shorter en dash with spaces around it, rather than the longer em dash with no spaces, both are acceptable, but whichever you choose must be used throughout the book consistently. 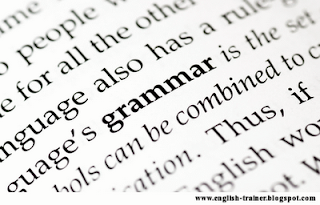 Or perhaps your sentence could work with commas or dashes to set off an element of emphasis or description. You as a writer may love the commas; your editor may prefer the dashes. Subtle differences in the sentence may actually beg one over the other, and copyeditors worth their salt should have instinct for what is best. My hope is that your copyeditor falls into this category. Overall, you as the writer should feel confident in trusting your editor’s decisions; after all, you’ve hired a professional for a reason. Even if you’re an excellent writer, trust me when I tell you that you’re too close to your own work to see inconsistencies, repetition, and/or plain old blunders. It happens to all of us! So how do you know you’re getting an expert? Look for a robust website that outlines their skills and what they offer. While none of us is perfect or above a typo at times, if the site's not well written, let that be a sign! Note: Yes, I'm using their to refer to a singular noun (copyeditor)—some will be appalled; others will cheer for the substitution of the dreaded he/she; a few will agree that if it's good enough for Jane Austen and Shakespeare, it's good enough for them! Ask to see examples of their work and/or credentials. Articles, excerpts from books they've edited, web content, professional positions held, and the like can serve as a perceptive guide to the level of their competence. Pay them for an “audition”—a set amount of time or flat fee for editing a chapter or portion of one so that you can assess the quality of work for your individual project. This is an excellent way to compare editors before you decide who gets to wave the magic polishing wand over your labor of love. Seek legitimate testimonials from clients on the editor's website; if they seem too generic or unverifiable, ask if you can contact the endorsers directly (I only say this because it’s too easy these days to fabricate endorsements … while getting in touch with them isn't a foolproof method of validation, it can help steer you away from paying a charlatan!). Ask what style guide(s)/references they use. Inquire about the process they employ when working with authors—be sure it’s a schedule and style that works well for you too. Have a phone conversation. If you get a gut feeling that the person isn't right for your project, trust it and interview another provider. Ultimately, an expert copyeditor should be just that: a master of the foundational rules of the English language, equipped to make your manuscript sparkle. Where guidelines vary or are hazy, an editor should have an excellent, reputable style guide (Wikipedia doesn’t count!) an arm’s length away; where clarity and flow for the reader are at stake, their reliable instinct should reign. In addition, the editor’s personality should mesh well with yours; the person is, after all, fine-tuning your baby, and I want your partnership to be a happy and satisfying one on every level. Please share your biggest grammar pet peeve ... or your favorite reference book for writers in the comment box below. I can't wait to hear from you! Stay tuned for my next blog post: "Spotting Red Flags When Seeking Providers to Produce Your Self-Published Book." Looking forward to seeing you there!